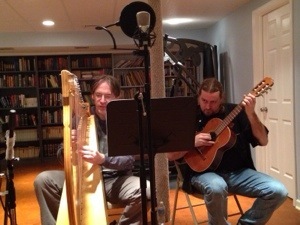 We’re setting up a monthly cadence for 2014 to get the songs all recorded for this album, so that it will be ready for Pennsic 44 next year. Today is my wife’s favorite, “Changeling”. I get giddy as a kid skipping around doing this stuff, I really do. This entry was posted in bardic, recording by Drake Oranwood. Bookmark the permalink.